Marvin (Marv) Levi Pedretti 88 of Guttenberg, died Wednesday April 3, 2019 at the Guttenberg Care Center, Guttenberg Iowa. Marv was born September 17, 1930, in Genoa, Wisconsin, son of Peter and Virginia (Levi) Pedretti. He received his education in Genoa and served his country during the Korean War 1951-1953. He served as an aircraft mechanic and was discharged as a staff sergeant. He married Christal Wedwick at St. Charles Church in Genoa, Wisconsin on October 21, 1952, and together they raised three daughters. Marv farmed until 1957, raising dairy cattle, hogs and tobacco in the Genoa area. In April, 1957 he began working for the U.S. Corps of Engineers at Lock and Dam #8 as a laborer and worked his way up to Lockmaster at Lock and Dam #10 in Guttenberg. Over the years he worked at several locks and dams in the St. Paul District. 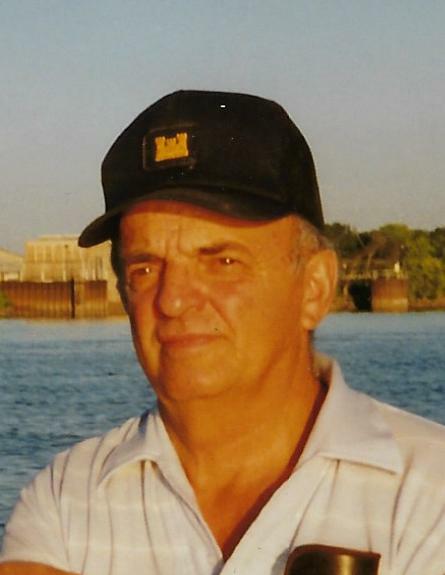 He received many awards during his years with the government and retired as Lockmaster and Lock and Dan #10 on April 1, 1995, with 41 years and 7 months of service. Marv was a lifetime Amvets member, serving as treasurer of the group for many years, and was also a member of the Eagles club. He was also on the Genoa and Guttenberg Volunteer Fire Departments for a total of 31 years. Marv donated over nine gallons of blood to the Guttenberg Hospital Walking Blood Bank and the American Red Cross. He had passion for hunting and fishing, and all things outdoors. He enjoyed turkey hunting each spring and fall, and was a lifetime deer hunter, starting at the age of 12 in Wisconsin and every year there thereafter, often covering three states each year, Iowa, Wisconsin, and Wyoming. He was proud to note that he was a member of the “Doug Geuder Hunting Crew” for over 40 years. After his retirement in 1995, Marv spent his time helping his neighbors, his family, and volunteering each year building wood crafts for the church festivals. He also played a lot of euchre with his friends and family. Left to cherish his memory is his wife Christal of 66 years, three daughters Kim (Bill) Snook of Dubuque IA, Kay Pedretti of Woodbury MN, and Karen (Jerry) Proctor of Palatine, IL, five grandchildren, Tony Snook, Angela (Nick) Salter & Shane, Scott Proctor, Julia Proctor, Zach Proctor; siblings, Harlan “Ole” (Diane) Pedretti of Le Claire IA, and Linda (Royce) Scott of Birmingham; Alabama; sister in laws, Anna Pedretti, Mary Pedretti, Marie Pedretti; brother in law, Jim Bright plus many nieces, nephews relative and friends.